For appetizer we ordered the Cheng Kong Pork 鎮江肴肉. 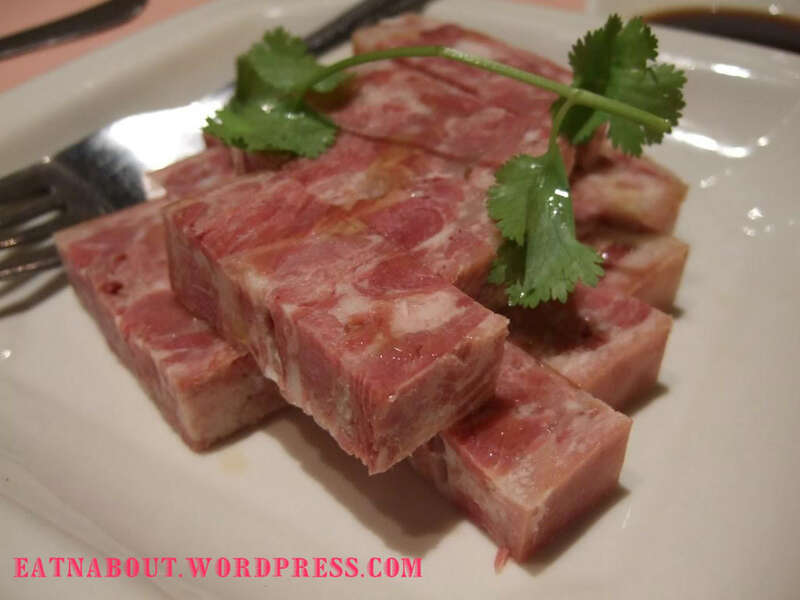 It is basically a pork terrine Chinese-style. It was very good. The sesame oil drizzled on top really brought out the smoky flavor of the pork. Highly recommended! 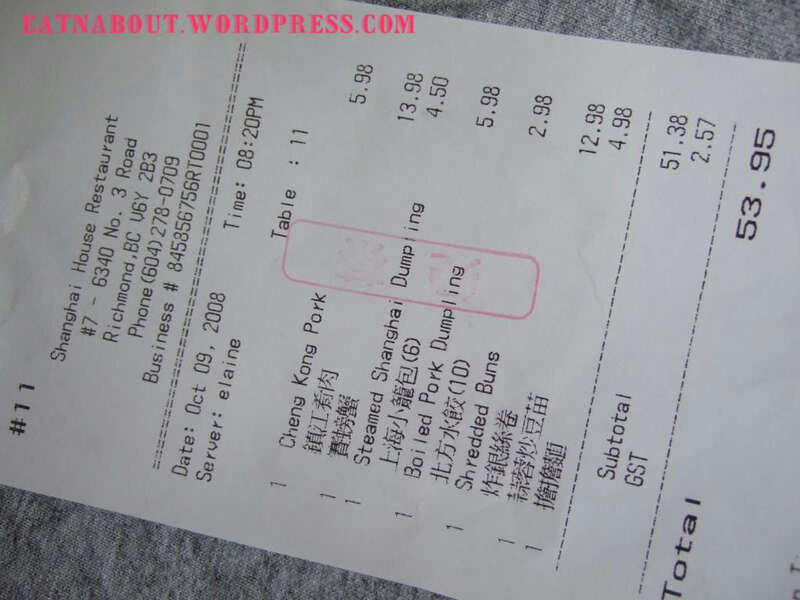 We also ordered Tan Tan Noodles 擔擔面. This is one of our favorite noodle dishes in shanghai or szechuan restaurants. The version here is less flavorful than other ones we’ve tried. The noodles were a bit soggy too. 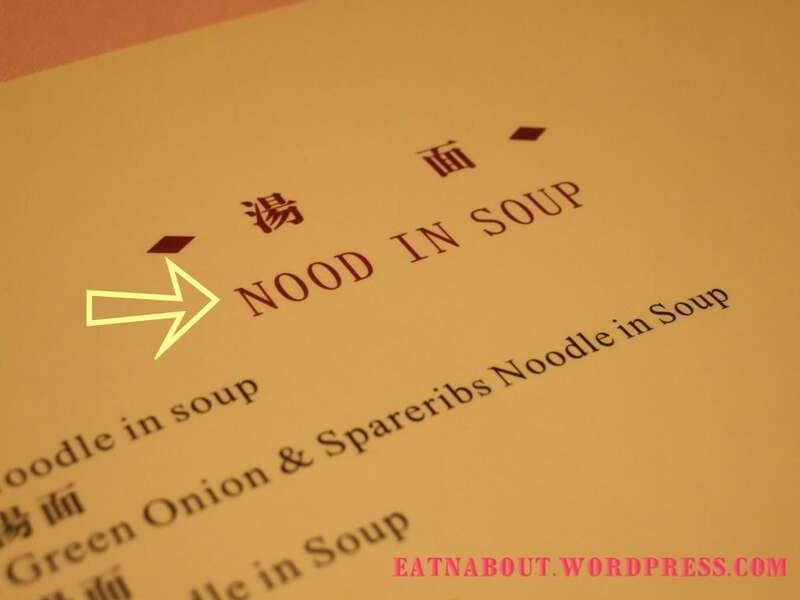 The soup did not have that peanutty/sesame flavor characteristic of the shanghai version of this dish. A disappointment here. 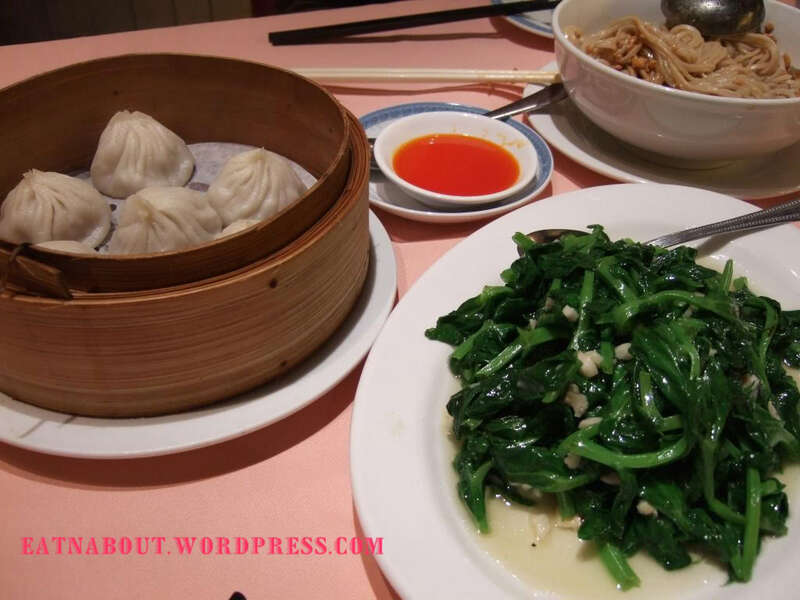 What is a shanghai meal without ordering the steamed shanghai dumplings, otherwise known as shao lung bao 小籠包? 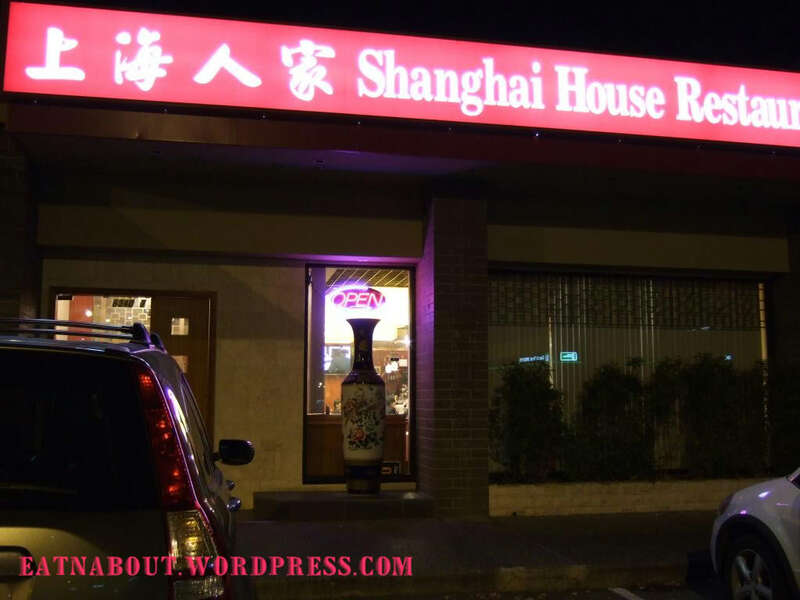 These were well done here, on par with Chen’s Shanghai Kitchen 百玉蘭 and Top Shanghai Restaurant 上海一只鼎 (the one near Save-On-Foods on Ackroyd). There were lots of soup in the dumplings. Here’s a tip on how to eat them if you always end up splashing the wonderful soup everywhere: Bite a tiny hole at the bottom of the dumpling where it’s flattened from sitting. Then carefully pour out the soup from the hole into your spoon, and voila! No more spilt soup! Well, that’s how I eat them, soup and dumpling separately. So are we done yet? Not even close! We also had boiled dumplings. I must say, I was disappointed with these also. The skin was thick, and some of the dumplings had tore skin. 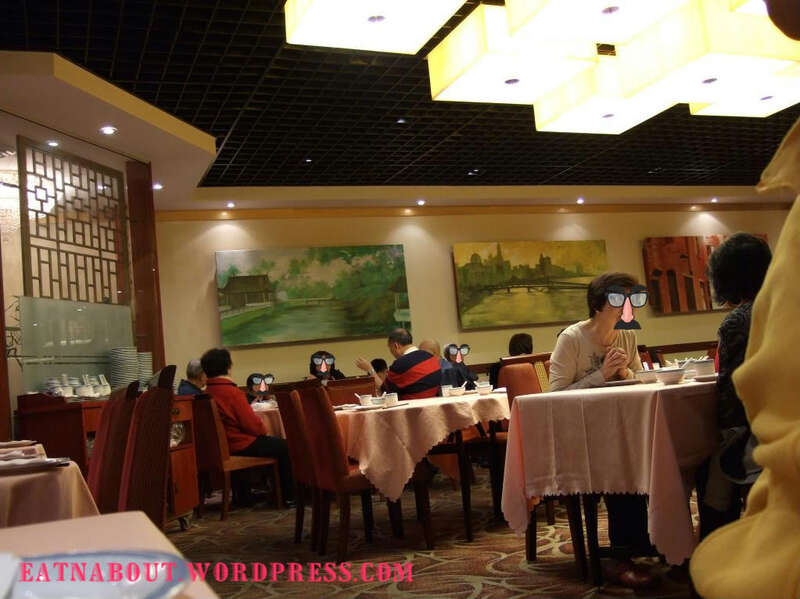 I would not expect this from a restaurant, at home made yourself maybe, but not at a restaurant. The meat filling was a bit soggy too, like it did not hold together. To tell you the truth, I thought it tasted a little sour too, but my companions did not complain so I figured it must be just me. Over all not impressed. The soup was good though. This is another one of my favorite dishes. Just because I love eggs so much. This is 賽螃蟹. 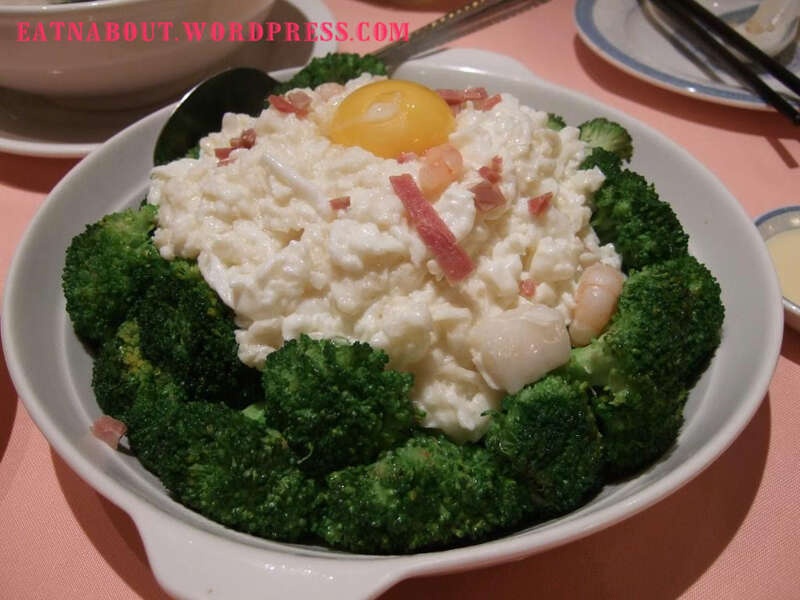 Basically it is egg whites mixed with an assortment of crab meat, shrimp and sometimes mini scallops. It is usually served with a raw egg yolk on top and when it arrives you break the yolk and mix it all up. The heat from the whites will cook the yolk. VERY VERY yummy. High recommended. That must be it right? Nope! Last thing was Deep-fried Shredded bun 炸鋃絲卷. It’s called “shredded bun” because normally the insides should be shredded, and you can actually pick out individual strands. That wasn’t done too well here. 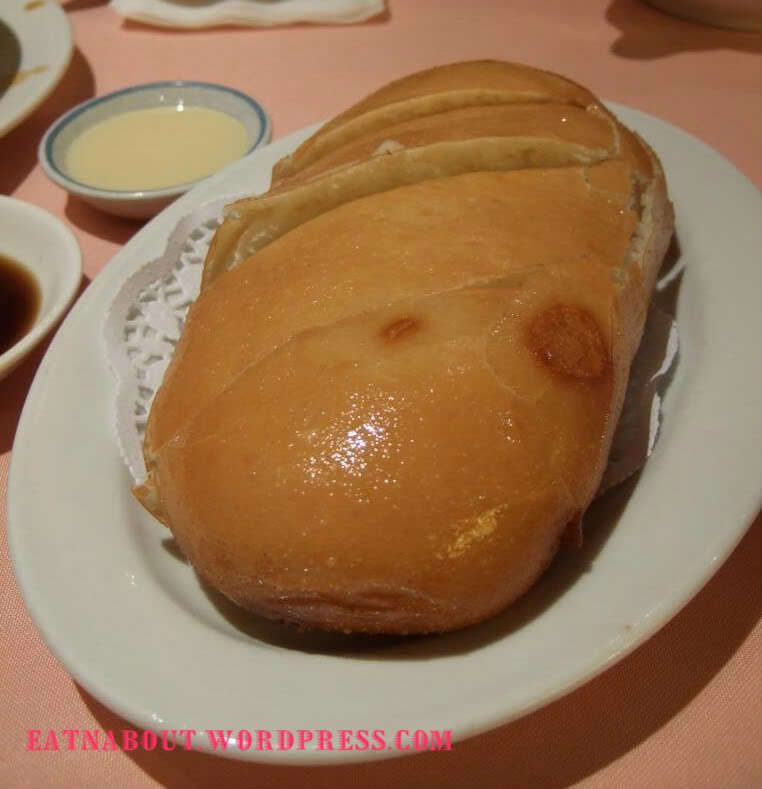 It is usually served with condensed milk, and usually you can pick between steamed or deep-fried. So after all that, what was the final damage? You can see above, and that’s for 3 people. Overall a good meal, I would definitely come back since it’s easier to be seated here. All the other Shanghai restaurants are quite packed and crowded all the time now (especially the two previously mentioned restaurants). But next time I would revise my choices.